Oliver and Thea begin training on the island of Lian Yu, only to discover that Slade Wilson is now free of his prison. In the past, Oliver and Maseo arrive in Starling City on a covert mission that takes them into the heart of Queen Consolidated. 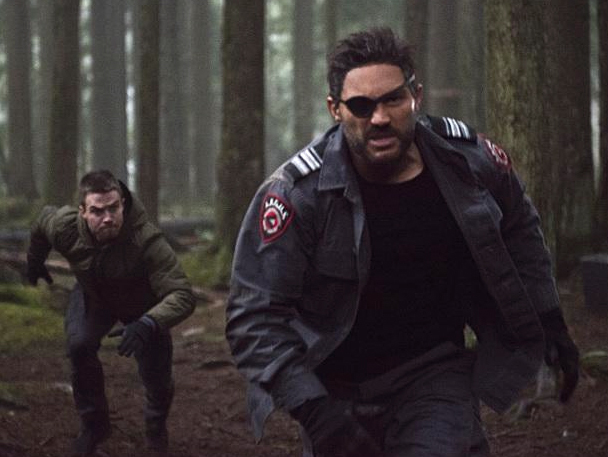 THE RETURN OF DEATHSTROKE AND TOMMY MERLYN - Malcolm (John Barrowman) puts Oliver (Stephen Amell) and Thea (Willa Holland) in a dangerous situation that lands them on Lian Yu with Oliver's former enemy, Deathstroke (guest star Manu Bennett). 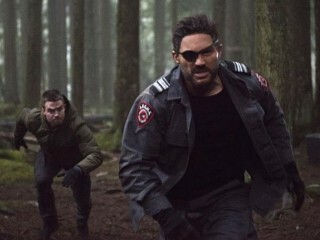 A flashback reveals when Oliver and Maseo (guest star Karl Yune) returned to Starling City to retrieve the Omega bio weapon, and despite being under strict orders from Amanda Waller (guest star Cynthia Addai-Robinson) not to reveal himself to anyone, Oliver looks in on his family, Laurel (Katie Cassidy) and Tommy (guest star Colin Donnell). Dermott Downs directed the episode written by Marc Guggenheim & Erik Oleson (#314).